March is one of Austin&apos;s busiest months for festivals and events! Check out this list for some of the bigger events taking place in the ATX. Street Regal: North America&apos;s top production-based racing series kicks off its 2015 season. The Austin Convention Center and more than 50 venues host noted filmmakers, musicians and multimedia artists from around the world converge to showcase music, film and interactive media during this internationally-recognized event. 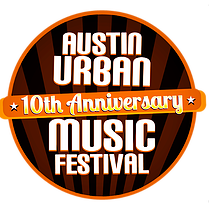 More than 15,000 music revelers annually converge on Auditorium Shores to enjoy Austin&apos;s only music festival focused on R&B, neo-soul and hip hop music. The festival has consistently provided a venue for local performers as well as presented top national R&B acts that provide family-friendly entertainment. For over 50 years, the annual Zilker Garden Festival has been a one-stop, garden shopping destination when spring arrives in Austin and Central Texas. A family-friendly event, the garden festival offers something for everyone, including the annual flower show, live music, gardening talks, a kid&apos;s corner and food court.